Mercury Wheels, a manufacturer of road bike wheels, recently relocated from Misssissippi to Ogden, Utah. Mercury is a high-end wheel company founded on the principles of providing the absolute lightest, most aerodynamic wheels to amateur and professional riders. Aside from the cool name and logo, Utah company Lizard Skins makes great products. 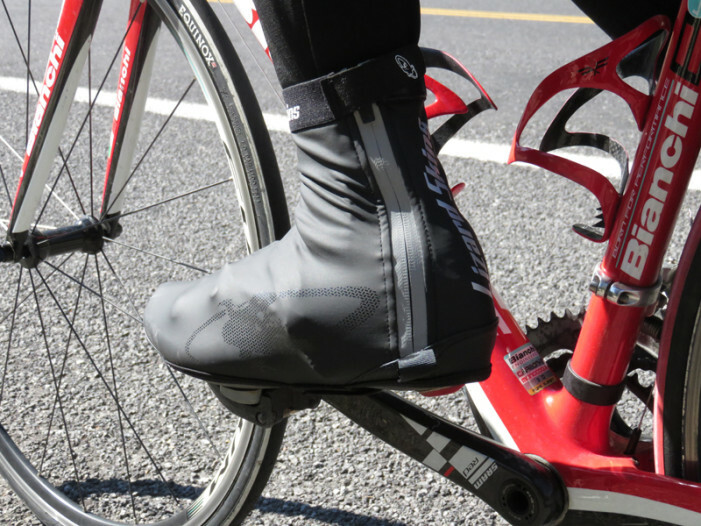 I had the opportunity to test a pair of Dry-Fiant shoe covers. How can you consider all the relevant factors when designing bicycle infrastructure as part of any transportation or community development, be it a local project, overall community or regional plan, or corridor? … there is a period of time it takes to get comfortable. A session with a good bike fitter can shorten that amount of time, but being comfortable on a bike is an evolution of bike and body. Editorial: Cyclists Should Vote Yes to Renew the ZAP Tax in Salt Lake County, RAMP Tax in Weber County, and the RAP Tax in Washington County in 2014. In an effort to expand education efforts for bicyclists and motorists all across Utah, Bike Utah announced that they are working to get more Share the Road license plates onto vehicles in 2015.